Do you ever have a bad day and all you want to do when you get up is cuddle up and watch a good movie - one that will chase away that bad day? Yes, chocolate will do the trick, but for me it's Hallmark movies. 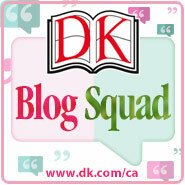 My latest favourite series is Signed, Sealed, Delivered. 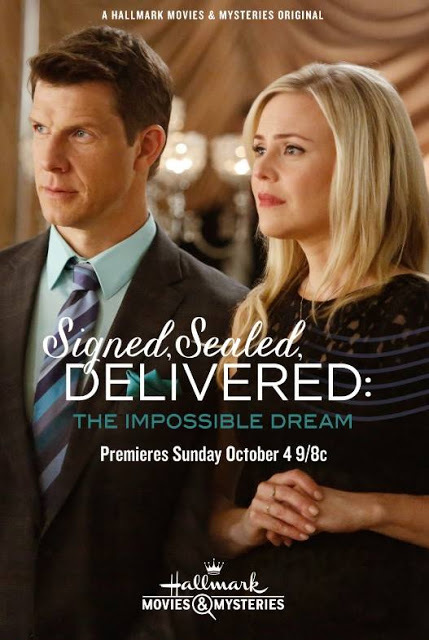 The latest - Signed, Sealed, Delivered: The Impossible Dream premieres Sunday October 4 9/8c on Hallmark Movies and Mysteries. In today's world of electronic communication, it's becoming increasingly rare to receive letters. But the four characters of this series have a dedication to the written letter. They're US postal employees who work in the Dead Letter Office. Think of them as postal detectives (POstables), dedicated to "tracking down intended recipients of deliverable mail. Their missions take them out of the office and into an unpredictable world where redirected letters and packages can save lives, solve crimes, reunite old loves and change futures by arriving late but somehow always on time." The Impossible Dream picks right up where the last movie (Truth Be Told) left off. The Postables 'work against the clock decoding a letter to rescue a soldier in Afghanistan and reunite her with her family'. There's a huge sense of urgency as the window to rescue the soldier is very small. But along with the serious tone, there's some fun as well. Rita is competing for the title of National Miss Special Delivery. Signed, Sealed, Delivered stars Eric Mabius (Oliver), Kristin Booth (Shane), Crystal Lowe (Rita) and Geoff Gustafson (Norman). The four have great chemistry between them. But, there's an added bit of chemistry between two pairs. I thoroughly enjoy watching their genuinely caring relationships evolve. Shane's past plays a large part in The Impossible Dream. And Rita and Norman's relationship moves forward. The Impossible Dream is a family friendly movie that explores family, faith, hope, love and patriotism in a wholesome, inspirational manner that can't help but lift your spirits. The Impossible Dream was the perfect antidote for my not so great day. Get a sneak peek - watch the trailer below.